Ever wonder why the world is in colour? In a faraway place, right at the end of the rainbow, there is a magical kingdom where all the colours of the earth are created. The kingdom is called Rainbow Land, and living in this wonderful place is the fabulous Rainbow Brite along with her best friend, the magical flying horse, Starlite. Together with the Colour Kids, their mission is to use the colours of the Rainbow to bring colour and happiness to people everywhere. Want to relive those Star Sprinkle filled memories? 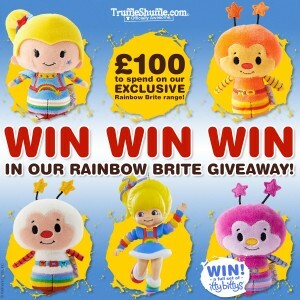 To celebrate the launch of our exclusive range of official Rainbow Brite clothing and accessories, we’ve teamed up with the lovely people at Hallmark for a competition which is sure to make your inner child jump for joy. 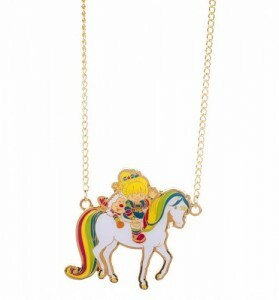 That’s right folks, one lucky winner is going to get their hands on 4 Rainbow Brite Itty Bitty’s and an ultra cute Rainbow Brite keepsake ornament by Anita Marra Rogers so you can share your bright childhood memories while adding colour to your tree. Neither of these are available to buy in the UK so this is a great opportunity for UK fans to get their hands on some awesome, limited edition collectibles! 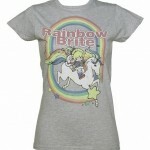 On top of that, you’ll also receive a whopping £100 to spend on our fabulous range of Rainbow Brite goodies. Take a look at some of the things you could treat yourself to below…. To enter, simply follow the directions below via the RaffleCopter competition box. 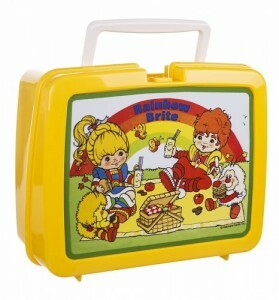 Entries can be made by following us (@truffleshuffle_) on Twitter, tweeting the competition message found in the box below and/or leaving a blog comment below to tell us your favourite Rainbow Brite memory. Easy peasy! The competition will close at midnight on Wednesday the 7th of October and the lucky winner will be announced on our blog and Twitter page the following morning. Remember folks, the more ways you enter, the more chances you have of being picked. Once the winner has been selected, we will contact them directly via one of the methods used to enter as well as announcing it on our Twitter page. 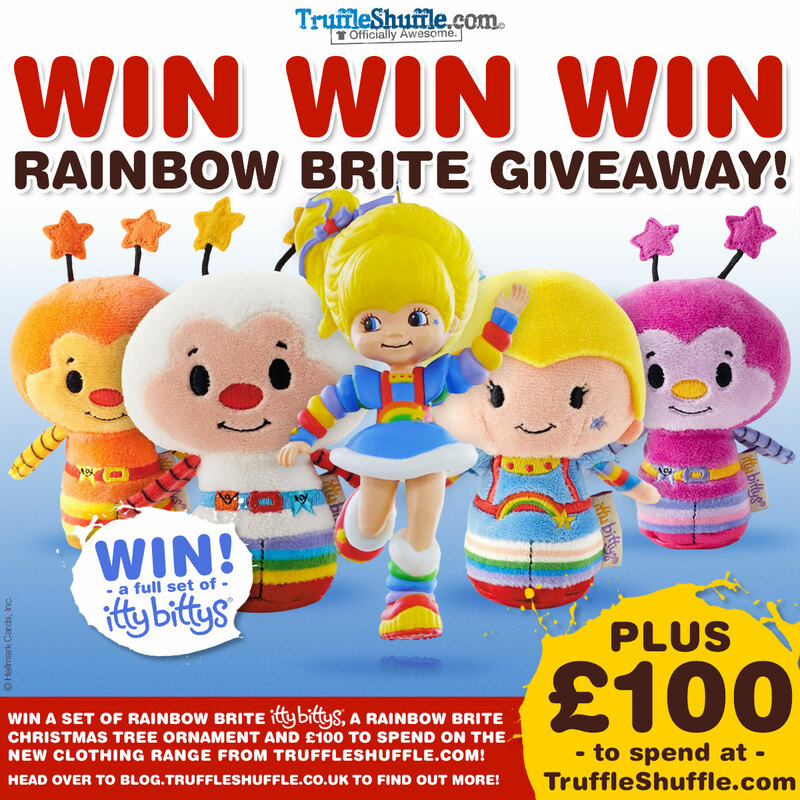 Further to that, we will also publish a closing competition post right here on the TruffleShuffle blog. If you have any questions at all or would like any advice, please either email us on competitions@truffleshuffle.co.uk and we will get back to you ASAP.